Credit: Family / GoFundMeINDEPENDENCE, Mo. — A 22-year-old Missouri mother was shot and killed in front of her two young children on Sunday night following an apparent road rage incident. INDEPENDENCE, Mo. 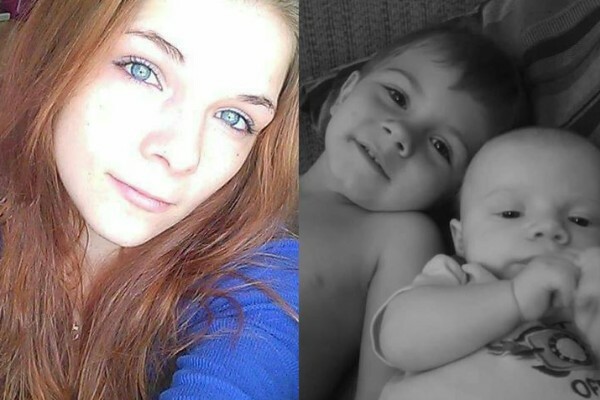 — A 22-year-old Missouri mother was shot and killed in front of her two young children on Sunday night following an apparent road rage incident. Whitney Gray, 22, was driving her minivan with her two children and a 16-year-old inside the vehicle when she was shot and killed, police told WDAF. The 8-month-old, 3-year-old, and 16-year-old inside Gray's vehicle were not injured. Gray's vehicle came to a stop a block away from the shooting, according to police. She died of a single gunshot wound and was pronounced dead at the scene. "The shooting appears to be the result of a road rage incident between the two vehicles," police said in a news release. Police said Gray's vehicle had several bullet holes in the windshield. A family friend said Gray may have "cut off" a man driving another vehicle. Investigators are now searching for a white SUV in connection with the incident. "We do have a lot of witnesses around here," said John Syme with the Independence Police Department. "It's a pretty nice day out weather-wise, so there are a lot of people out and about. We are hoping maybe someone saw something who has not spoken with us yet, so we would like them to come forward as well." Family and friends set up a GoFundMe for Gray's children and to cover funeral costs. The investigation is ongoing. Anyone with information about the case should contact Independence Police at (816) 325-7777 or email leads@indepmo.org.